It's Tuesday people! So what better way to ring in the day after Monday then to talk about my favorite new trend. 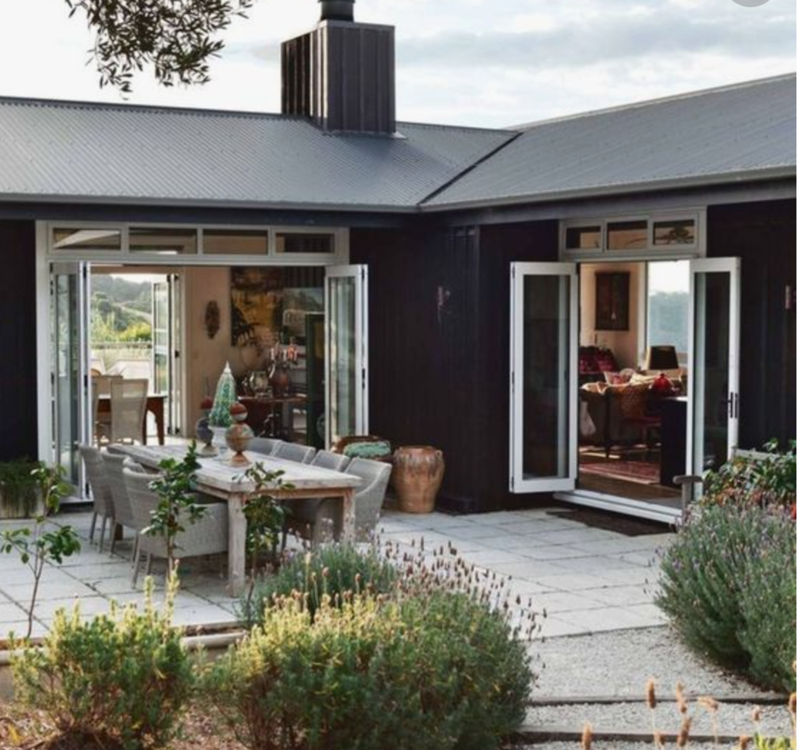 This week (and for the last few months really...) I have been dreaming about and searching for homes with black or charcoal exteriors. 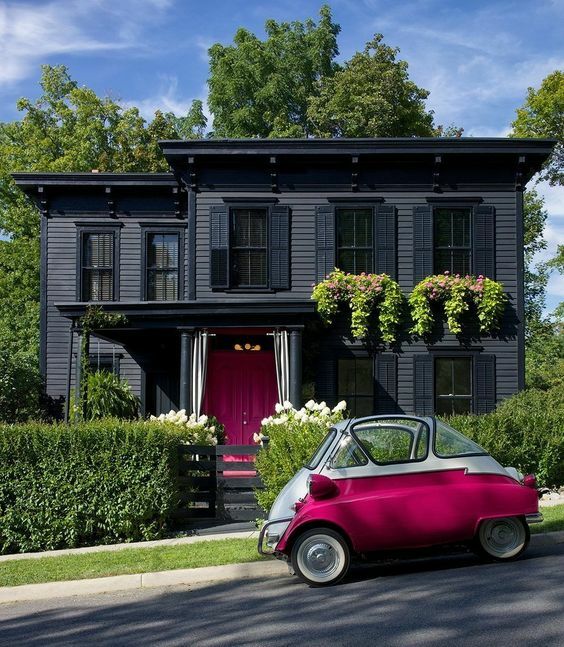 I have also noticed interior designers and architects like Barbara Bestor and Amber Interiors loving and posting projects with black exteriors as well! They are getting more and more attention and for good reason.They are edgy, fun, modern, and they truly stand out, yet are also neutral at the same time. My last house in Echo Park was black and I absolutely loved it. It was super cool and I was so proud of it (although it was a new build so I had no input, I just felt cool because we were the owners lol) ! Up until this point, when I dreamed about my future home, I always thought I wanted a white house with black trim (and of course I will always love that classic and popular combination because it is stunning and sleek). After living in it for the short year we were there, I fell in love and really wanted our next home to eventually have that dark and modern feel. We moved into our new house in Redondo Beach (because my husbands job was much closer to this home) which unfortunately is nothing like Echo Park in design or sleekness. It's a grey mid century home with white trim that is close to the beach but far from style. I don't know if I sound like a brat but I really don't care. Facts are facts. This house needs work! (I will be posting more on the transformation as we get closer) One of the main things I cannot wait for is for the house to be re-stuccoed and painted black, but for now we are going to stick with monochrome colors since the house is already dark grey. We plan on giving it a face lift with new plants and painting the white trim (which comes off as beachy and traditional, not my thing) a dark charcoal. 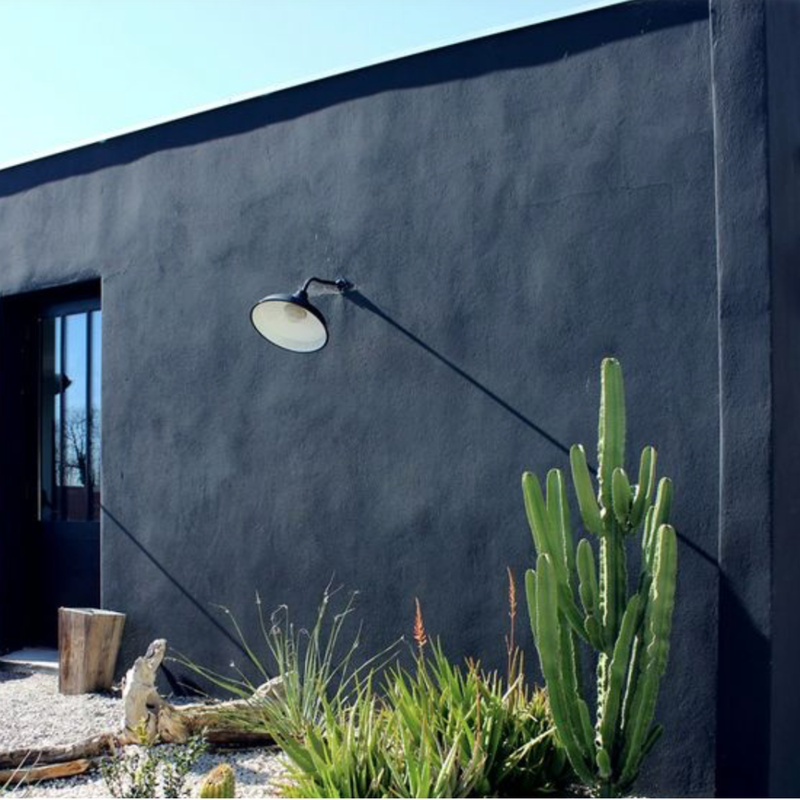 As I have been researching colors, I have compiled my favorite black homes that are popping up all over Pinterest for my own Inspo! Take a look at these gorgeous black homes! How pretty are these homes? Are you a believer yet? I just LOVE how the plants POP! against the black backdrop. So gorgeous! I cannot wait to paint our home and see how it all comes together! What do you guys think about a black exterior? Super Sleek or a little too dark for your taste? Let me know in the comments below! As some of you might know, I love to design interiors and have gotten more of a chance to exercise my passion in recent years as we have bought and sold homes. My husband is in real estate, so instead of putting extra savings in stocks and bonds, we have invested in real estate. If you follow me on instagram, you might be familiar with the fun and retro interiors of our Palm Desert home, which was a blast decorating because you can go all out with the desert! I am also a lover of color, patterns, textures. and layering, so this was a perfect project for me. As of late, we have decided to invest back in Downtown Los Angeles, a market that is booming with growth right now, by purchasing a loft. I work out of LA a lot and we currently live about 45 minutes away on the coast, so knowing we wanted to invest in LA somewhere, this was the perfect location. However, my hubby begged me to please not splatter the apartment with color and vintage eclectic decor, which is definitely my "signature" look if I have one. 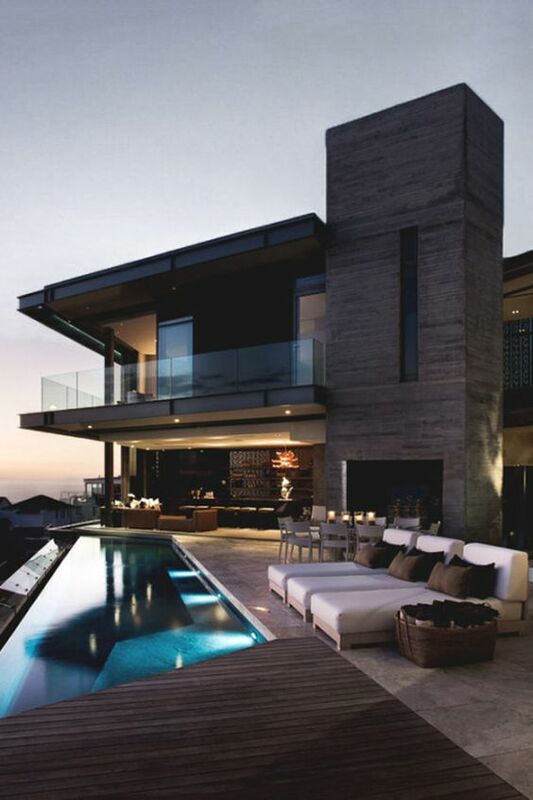 Instead he said he would love a serene and masculine place thats super modern. Challenge accepted. I have been scouring my top spots for everything from furniture to rugs to lighting and today was all about the rugs. This of course inspired todays post. I can't spend a ton on each item, so tried to keep my hunt for a 9x12 rug under $1000 which is hard to do! Rugs are costly and big rugs like this can run in the thousands and even tens of thousands! I don't have the money for that, so I rounded up my favorite rugs for a modern space that fall right under the $1200 mark, with many well under that! For rugs, I love One Kings Lane for the diversity in brands that they carry and huge selection as well as CB2 for their modern and current taste. I'd love to know which rugs you love most! Wallpapered Spaces that MAKE ME HAPPY! Wallpaper has been making a come back in a major way for some time now and the trend is not slowing down. Some of my absolute favorite places and spaces use wallpaper to add charm, character, style, and that wow factor that you just can't get with paint. I wouldn't go crazy and add it all over the home, as it can start to look busy and too loud. However, adding wallpaper in a powder room to get the most bang for your buck out of a small space can make that room your favorite in the house! Or create a zen environment in your master bedroom with a calm and serene wallpaper that feels warm and luxurious. I always go on Pinterest when working on home projects to see what I am most attracted to and then pin away. I find that I'll pin the same image multiple times and images that are similar which helps me narrow down what I am really wanting. If you are looking to spice up a room in your home, make sure you research and do your homework as wallpaper can be pricey. It makes a huge difference, so is totally worth it when you find the right one! Here are some of my favorite wallpapered spaces as of late. Image via Marcus Design Inc.
Loving the morrocan and eclectic vibe of this bathroom. Its intentionally a bit much and I dig it. You can never go wrong with this cobalt blue and white combo. Its traditional, yet playful and will look great no matter what the trend. This print makes me so happy and excited to start our remodel. Its chic, traditional, eclectic, and artistic all in one. I would use this in a powder room like Amie Corley did here, or as a statement wall mural in a dining room. This room screams femininity and is all things girl. I love it so much. Ahhhhh doesn't this room make you want to redo your home to be masculine/ modern? It's calm and serene, anything but boring. I am not big on florals, but think this color palette is breathtaking. It's moody, feminine, and chic. I can't seem to get away from pink and playful patterns. This room is cheery and definitely a showstopper. I'd love to know which rooms you guys like best. Let me know in the comments below! And if you want to check out more great patterns, check out my Pinterest page. Have a great weekend you guys and don't forget to spoil your mamas on Mothers Day! Having just recently moved in and out of three different places in 2 years, I have experience with working and reworking a space to make it my own. Lighting is such a key part of that process for me! It can warm up a space and instantly make it feel pulled together, and be a dramatic statement in your home to display and express your personal style. After having looked for months for the right lights, pendants, and flush mounts, I realized that lighting can be insanely expensive! I'm talking thousands and thousands of dollars. That's why it felt even more silly to me after having seen these glamorous, clean, and statement making chandeliers for a fraction of the price. They are all substantial and stylish without making you feel foolish for spending $3,000 on a light you may want to change in 4 years. Take a look and let me know what you think! Im loving the cool factor with every single one of these! Every single one of these lights has been on a wish list of mine for different areas of our house. They add a punch of style and a huge bang for your buck. Im a big believer in getting as close as you can to "the look" without overly committing on price because at least for me, my style evolves and changes over time. Saving that dough can also give you opportunity to spruce up another area of the house! Yay! These lists will ensure a bright and stylish start to any home! Let me know if you guys like these and what your favorite type of lighting is right now in the comments beolow!